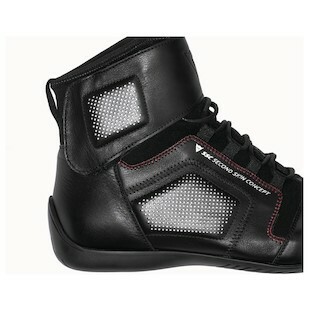 Fresh for 2012, we have the Dainese SSC Bravo D-WP Shoes. 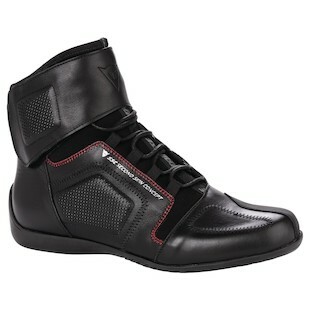 A stylish, formfitting pair of shoes from Dainese that can be worn on or off the bike all year round. 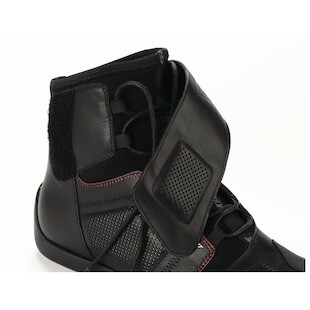 Fit for the casual rider who's looking for something that will have some protection, but doesn't scream motorcycle shoe. Let's dive into the construction and make up of the Bravo shoes. Designed to surround and fit your foot like a sock, the shoes use a deconstructed upper in soft leather and inserts in elasticated fabric. The shoe is made up of cowhide leather around most of it. Dainese uses their Second Skin Concept (SSC) which was originally developed for their race suits that uses a stretch material to bond to the outer shell of the shoe giving it a little added protection as the different materials blend together. It comes with a non-slip rubber sole developed by the third party company Sky Walk. The sole is pretty flexible and allows for easy handling while riding on a bike. Some other great features to this shoe is how it's completely waterproof, comes with a zip lace system that is covered by a Velcro cover flap to prevent strings getting caught in any part of the motorcycle, and the reflective inserts that will be discreet off the bike, but light up bright when hit with some headlights while riding at night. The Dainese SSC Bravo D-WP Riding Shoes were designed to be used in a rider's daily life and combine innovative style and function that results in a comfortable and high-performing shoe. 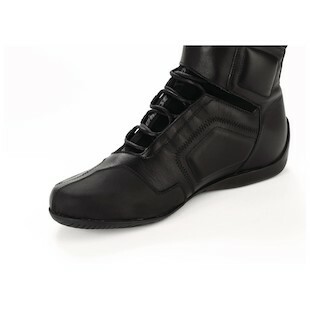 Make sure to check out all our other comparable choices in our Motorcycle Riding Shoes section!